Jauch Painting and Decorating, Inc. Comment: interior painting of ceilings and walls of house. Comment: Need someone to paint our front porch & molding around the garage. Also need someone to stain our deck. Comment: Hello, my name is xxxx and my fiancÃ© and I are buying a townhome and closing on May 3rd. We would like to have some interior painting done before we move in any furniture. Our move in date is May 8th. Our priority is the master and second bedroom, master bath, the trim throughout the whole townhouse unit, and possibly the powder room. It is in Lakemoor right off of 120. We would like to get it done as soon as possible after May 3rd. The master bedroom is 19'4" x 13'8" with 9' ceiling and the second bedroom is 11' x 10'1" also with 9' ceiling. I don't have the bathroom measurements but the full is not large, and the powder room is tiny. The overall square footage is 1526 so not a lot of trim. Comment: Interior of 2,900 sq. ft. Single level house with 9 ft. ceiling. McHenry Painting Contractors are rated 4.77 out of 5 based on 2,109 reviews of 45 pros. 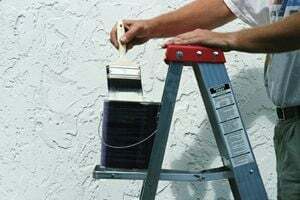 Not Looking for Painting Contractors in McHenry, IL?